April’s featured display on level 2 of the High Library, “Understanding the Riddle”, focuses on Dr. Donald Kraybill’s distinguished career at Elizabethtown College, and includes a variety of images from the Hess Archives of Kraybill as well a selection of his many books. 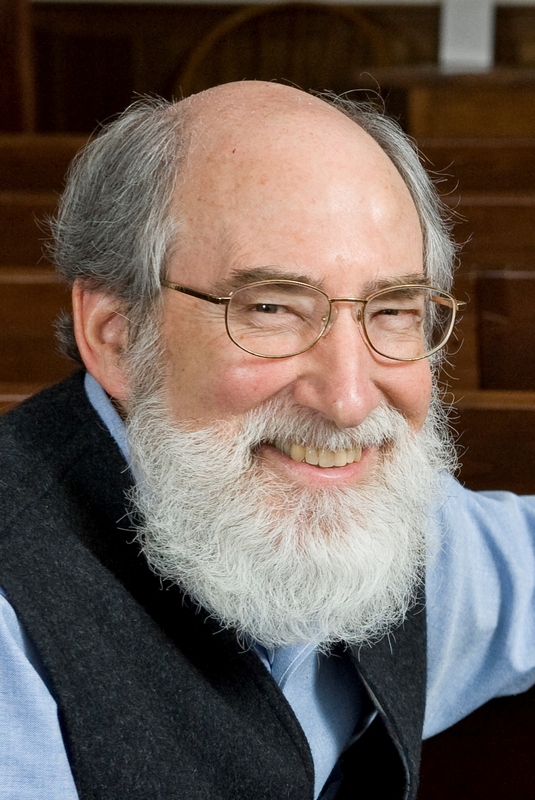 Don, the foremost expert on Old Order Amish culture, first began teaching sociology at Elizabethtown in 1971 and has also served as Director of the Young Center for Anabaptist and Pietist Studies as well as Interim Provost. Dr. Kraybill is retiring from teaching this year, and the college community is celebrating his dedication to research and engaged student learning by honoring him as this year’s SCAD (Scholarship and Creative Arts Day) lecturer. The lecture will take place on Monday, April 20th from 7:30-9 pm in Leffler Chapel and Performance Center. Please enjoy the display and help us congratulate Don on his remarkable career at Elizabethtown. Categories: Archives, Faculty | Tags: Anabaptist and Pietist studies, archives, displays, Donald Kraybill, SCAD | Permalink. Nearly every scene in The Gods Must Be Crazy is funny and evokes instant laughter and where it doesn’t, Xi livens it up with his innocent smile and candour. Kalahari bushman Xi (played by genuine bushman N!xau) is as surprised as the rest of his tribe when a Coke bottle, thrown from a passing plane, lands in the middle of their village. This “gift from the gods” proves to be a mixed blessing when the tribesmen fight over it and eventually use it for a weapon. To keep peace in the village, Xi is assigned to take the bottle to “the end of the earth” (actually a lush valley) and throw it back to the gods. Meanwhile, back in urbanized South Africa, Kate Thompson (Sandra Prinsloo) leaves her office job in the city to take a job teaching Kalahari children; once in the wilderness, she finds herself constantly bumping into clumsy microbiologist Andrew Steyn (Marius Weyers). And meanwhile, maniacal Sam Boga (Louw Verwey) is leading a military coup against the government. How do all these various and wildly divergent characters fit together? You’ll have to see The Gods Must be Crazy yourself–if you haven’t seen it already. This Botswanian comedy/melodrama was directed by Jamie Uys, who had helmed dozens of films before Gods and would make many more afterwards. 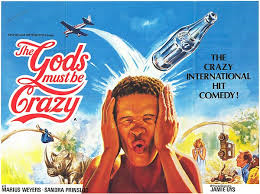 Originally slated for limited domestic distribution in 1982, Gods Must Be Crazy was picked up for American consumption by 20th Century-Fox in 1984. Within a few weeks, “word of mouth” transformed Gods into the biggest foreign box office hit ever released in the U.S. The film will screen at 7PM in Gibble – please join us to find out how Xi gets that bottle back to the Gods. This film is free and open to the public and is co-sponsored by the Office of International Student Services and the High Library. Categories: Events, Library Services | Tags: events, films, Global Film Festival | Permalink. 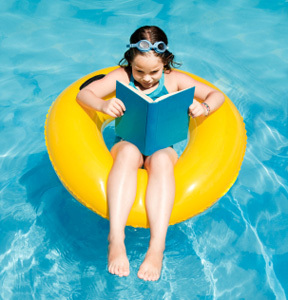 Here are the High Library Easter Break hours. Who says college libraries aren’t fun? Meet our newest librarian!! 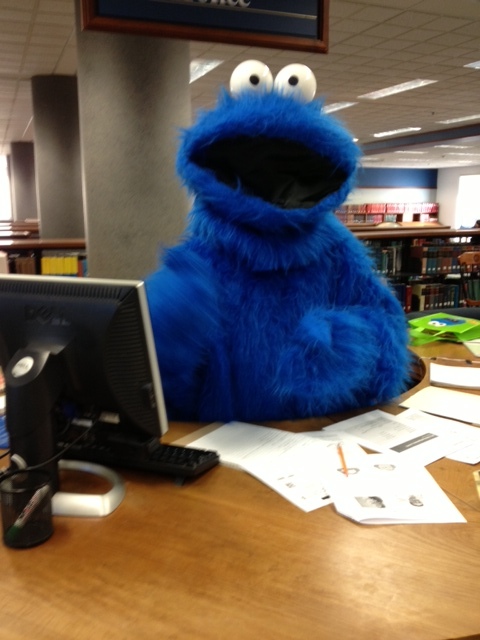 Thanks for spending some time with us, Cookie Monster! We loved your visit, although we’re still sweeping the cookie crumbs off the floor. 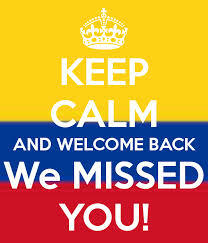 Stop by again soon! Have a great day Etown! 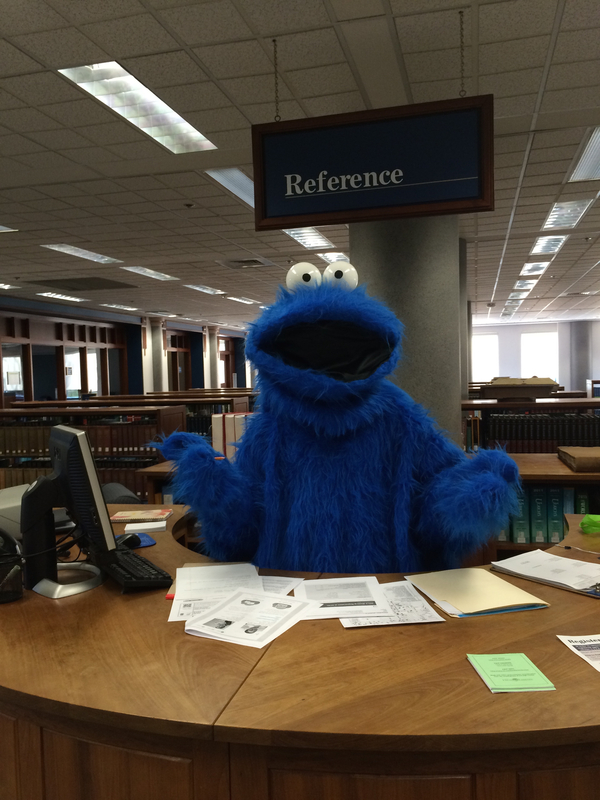 Categories: Events, Library People, Library Services | Tags: cookie monster, librarians | Permalink. What does The Matrix, ABBA, 1994 and Australia all have in common? 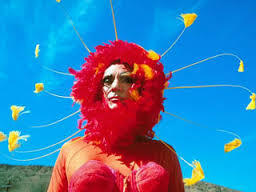 Priscilla Queen of the Desert is driving into Etown this week for the Global Film Festival. Priscilla is the 1994 feel good movie that delighted international audiences with cheeky over-the-top humor, panache, pathos, winning performances, and fun soundtracks. Priscilla heavily features the music of ABBA (Australia has long had a particular love-affair with the Scandinavian quartet) and stars Hugo Weaving (of Matrix fame), Terence Stamp (of Wall Street, Superman II ) and Guy Pearce (L.A. Confidential) as three drag queens cut from the cloth of everyday and who take on the road trip of their lives. What we see though through their travels is that sexuality is not a cut-and-dried affair. Underneath it all, we see that these people aren’t much different from those we meet in our daily lives. As one reviewer noted, “A screening of ‘Priscilla’ would do more good than a hundred lectures to high school kids on the acceptance of diversity. Hope you come and enjoy a great night and a promise that you will leave feeling great! Movie screens at 7PM in Gibble … and please tell … or better yet… BRING a friend! Categories: Events | Tags: events, Global Film Festival | Permalink. Categories: Hours, Library Services | Tags: hours | Permalink.